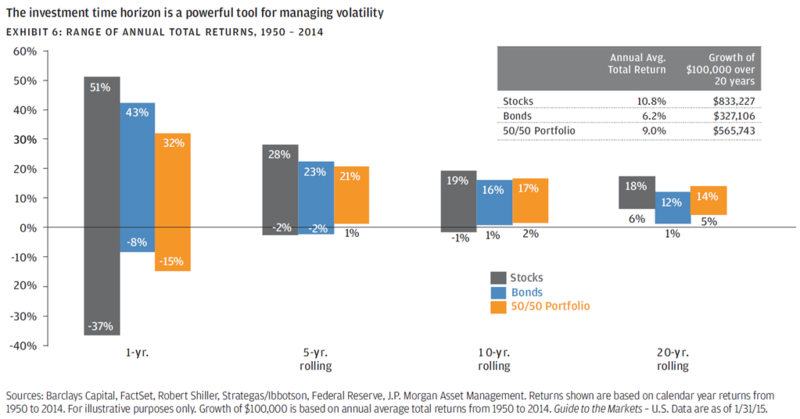 Since 1950 stocks have averaged 10.8% annually and bonds have averaged 6.2% annually. This is not new to most of us. We know that over the long term stocks outperform bonds. So why do we use bonds? We believe in a diversified portfolio, not just to get returns from various places but also to manage risk….both volatility risk and depletion risk.